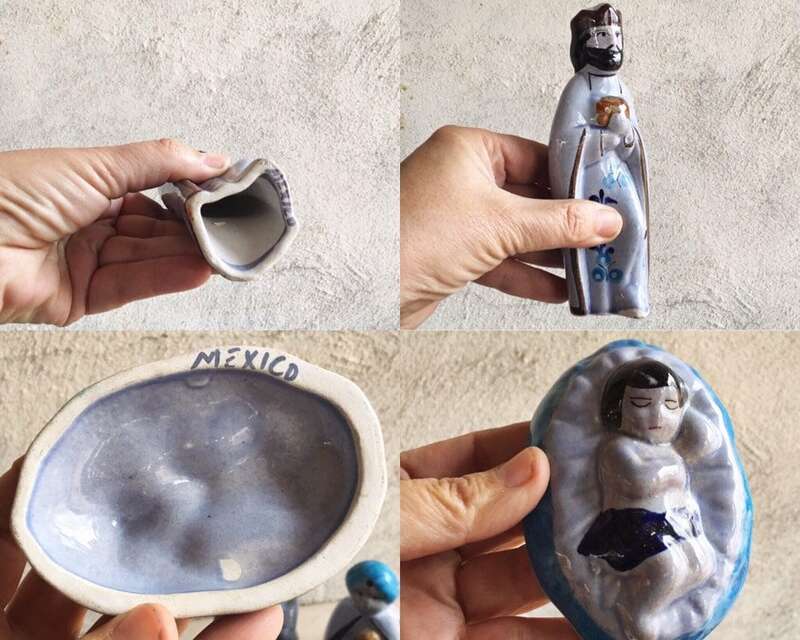 This vintage Nativity scene is substantial and striking with a total of 13 pieces of hand painted Mexican pottery from Tonala. 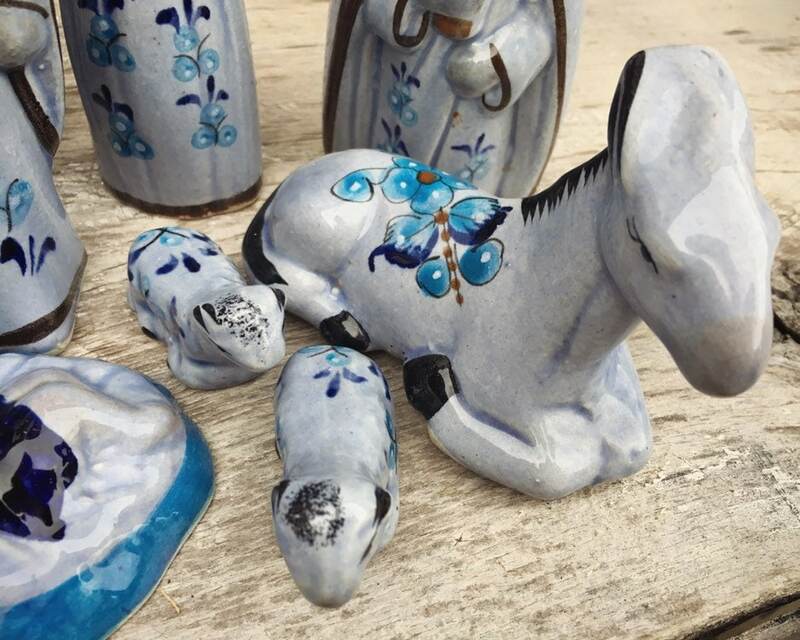 The pieces are not small, and so plan for sufficient space to hold the set. 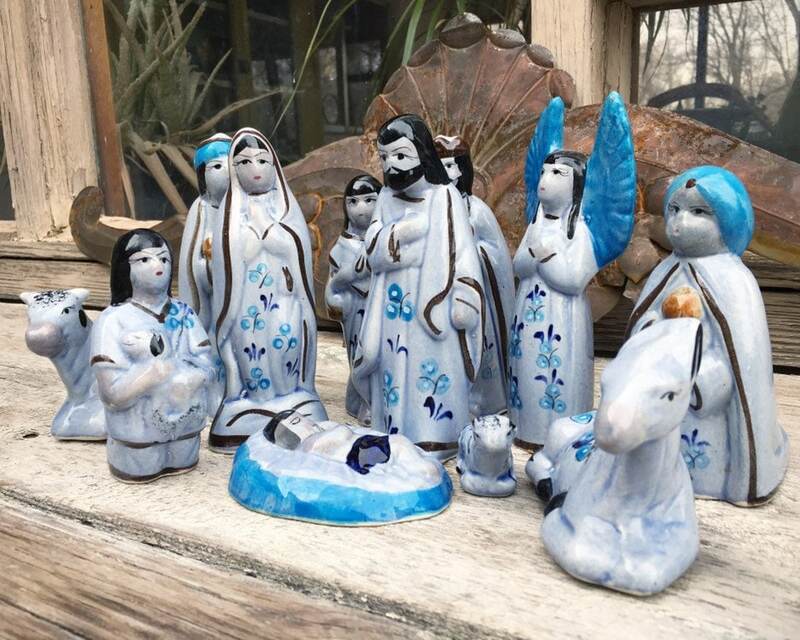 There is no manger, which makes the set perfect for setting among evergreen boughs or integrating within an existing setting. 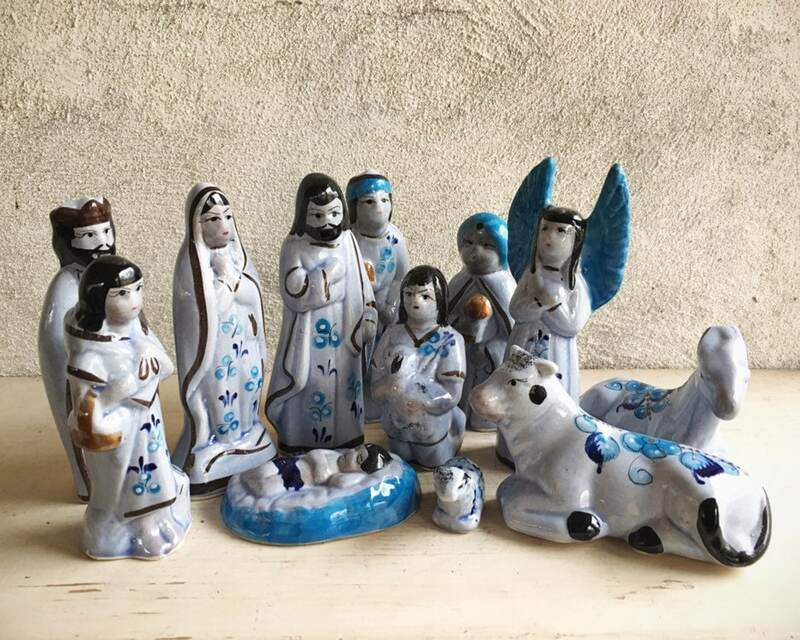 The set has the usual figures--Baby Jesus in cradle, Mary and Joseph, the Three Wise Men, the angel, and others including Mary and Joseph's mule, a cow, and two lambs. 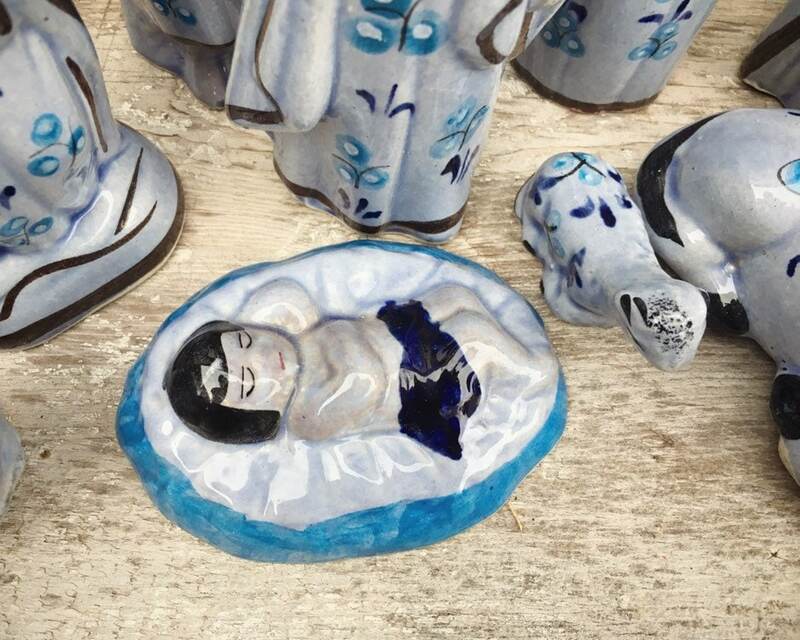 The pieces are painted in beautiful blue tones and have a glossy glaze finish. 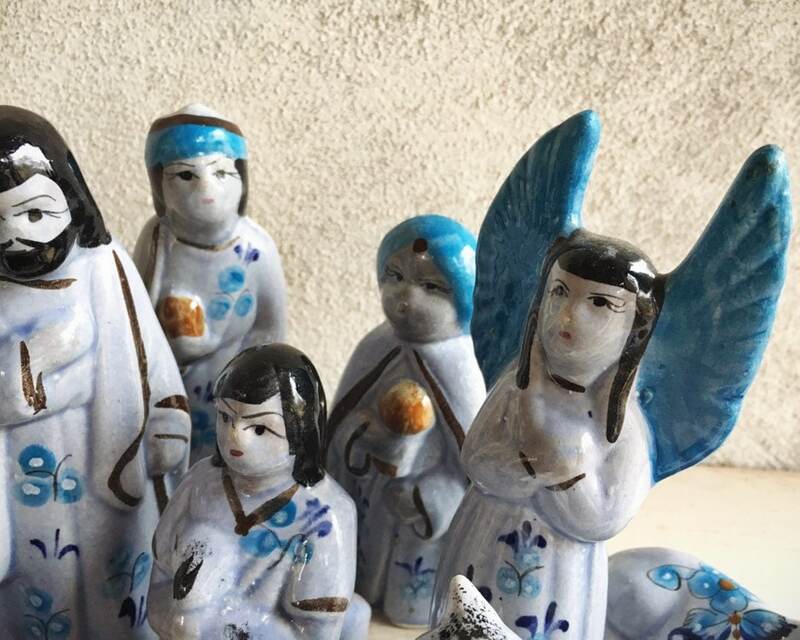 Most carry the traditional "flor de Tonala," which is the Nahua flower found on many pieces from this area. 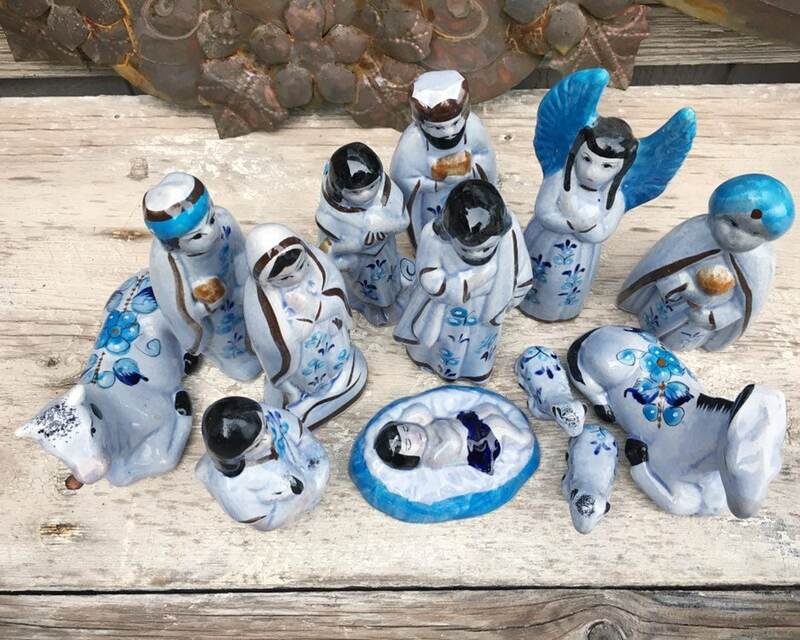 The Nativity set pieces range from 6-7" tall for the standing ones to 1/2" tall. 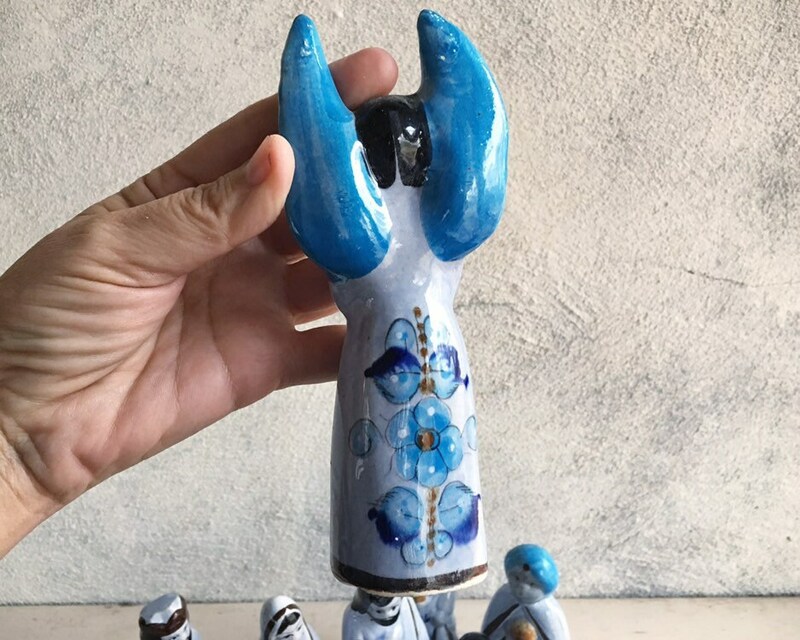 Many carry a handpainted Mexico mark on the bottom. 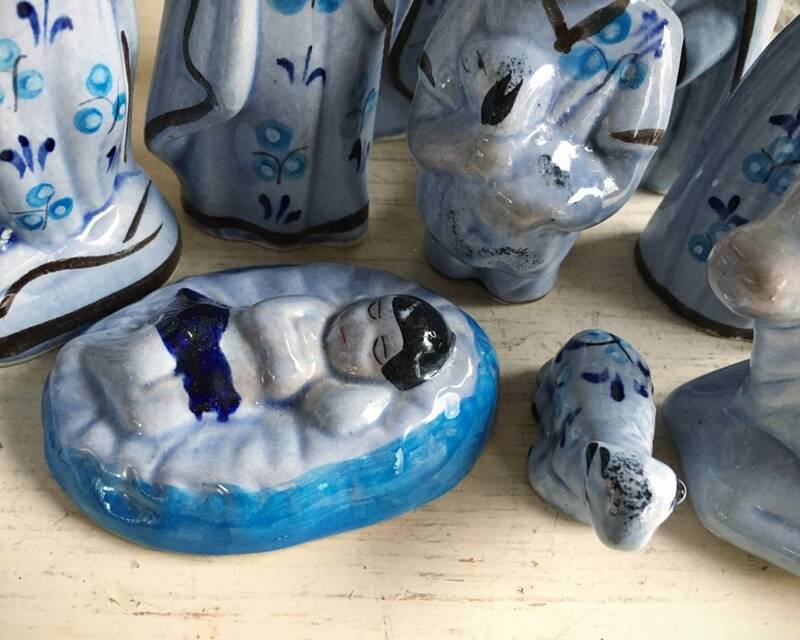 There are areas where there is pre-production roughness in the glaze, like on the angel's wings, or spots where the paint may have missed a spot, like on the Baby Jesus' hair. There are fleabites along the bottom rim on a couple of pieces yet no major chips or cracks. 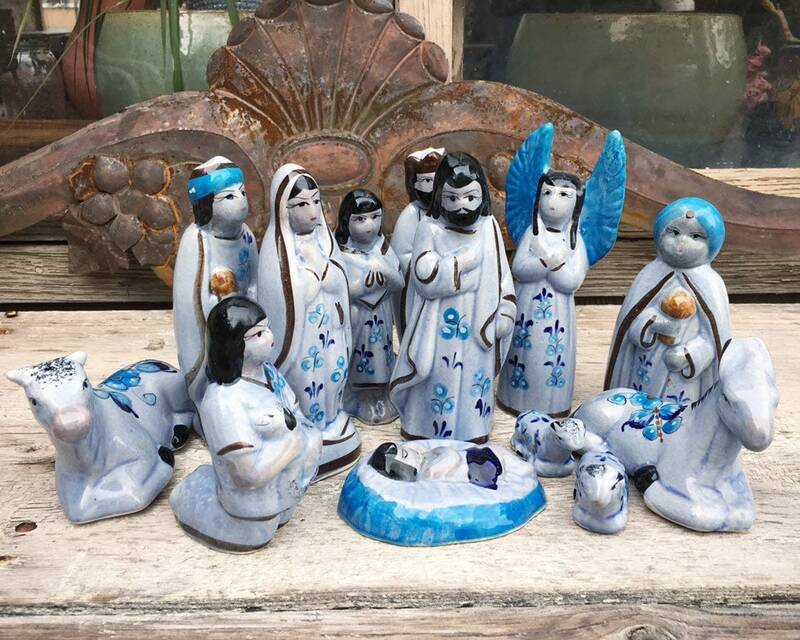 A wonderful folk art Nativity scene.